Another short digression from the environment. 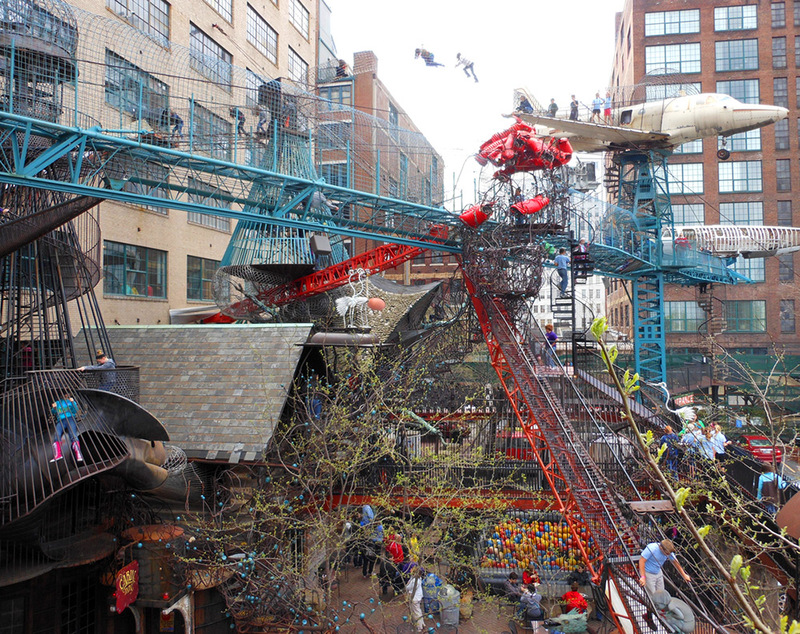 The City Museum in St. Louis, Missouri (video here) is one of the most extraordinary places for culture and fun in the world. 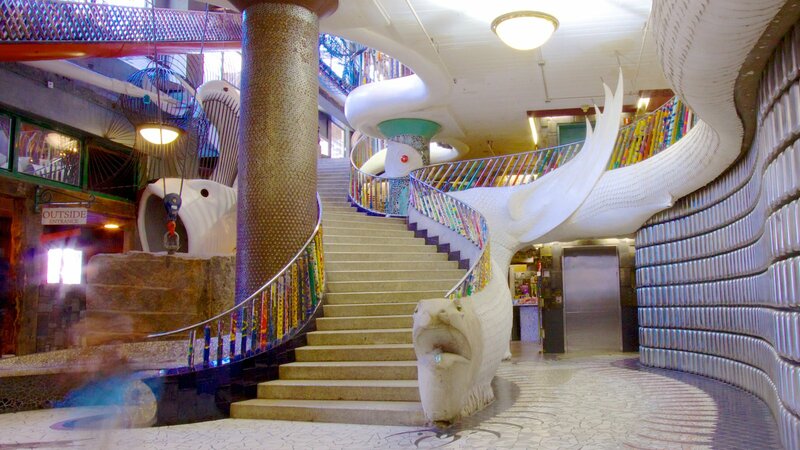 Occupying a ten-story shoe factory from the early 1900s, it seems to be the result of a mad self-taught tinkerer, the set designers of Blade Runner and Brazil, and the fantasy-art-nouveau architect Antoni Gaudí trying to make an all-ages playground and museum of 20th-century culture at the same time, out of scrap metal and discarded airplanes and factory machines. 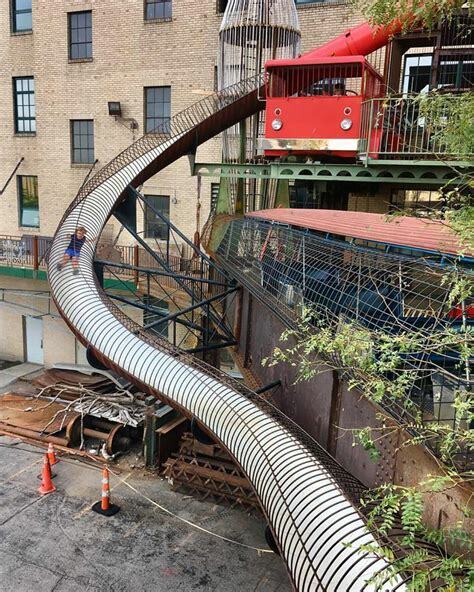 It has twisting multi-story slides and climbing cages indoors and out which lead to buses and airplanes and a ferris wheel perched several stories above the ground, tunnels between floors, antique natural history exhibits and carnival game stalls, free-form mosaic-covered art nouveau/science fiction-inspired arches and staircases, collections of parts of historic buildings, a working antique shoelace-making machine, an indoor skate park, the world’s largest pair of underwear, vintage jukeboxes, and a 19th-century log cabin – to name just a few of its many, gloriously incongruous parts.